The sun is shining and the days are longer — is anything better than the first signs of spring? 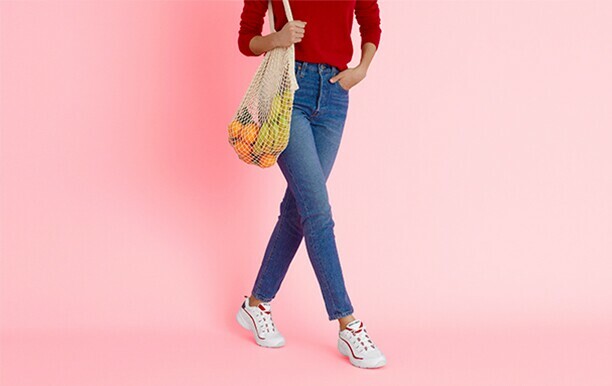 Now is the time to get your wardrobe ready so when spring is in full swing, you can be out the door and on-the-move, from work to weekend and beyond with these easy tips. When your closet is filled with looks you love, it will make getting dressed for work this spring a breeze. Try expanding your wardrobe with styles that are versatile and can work with what you already own. Dressing from the ground up will keep you comfortable throughout the work day. The right shoes are key: choose pairs that feel and look good, and exude confidence every step of the way. Spring Saturdays and Sundays are best enjoyed in easy, comfortable styles that can take you from the farmer’s market to the garden to the yoga studio without missing a beat. A shoe that slips on easily is our favorite for relaxed weekend days. Because anything is possible when you’re comfortable. Spring is filled with fun outdoor adventures. Be prepared to take new steps forward this season by packing outdoor athletic shoes to take you from travel to athleisure with ease. Shoes that provide comfort and support will keep you moving on your next getaway. Don’t forget to stop and smell the roses along the way. From your favorite tees to the perfect spring sandal, take your time to find basics for your wardrobe that you love and will want to wear again and again. Style can be simple: it means feeling comfortable in your own skin. If you find something you love, you may even consider buying it in multiple colors. Discovering what works for you helps take the guesswork out of everyday shoe dressing. Easy Tip: If it doesn’t fit or you haven’t worn an item in a while, it’s time to re-evaluate. Consider donating your items so you have room to create a wardrobe that reflects your style and makes getting dressed easy. Celebrate spring in Easy Spirit, shoes that keep you moving. Shop Now.